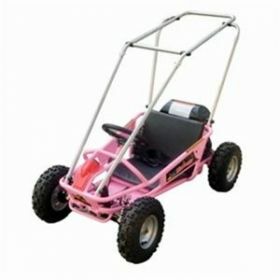 Pros: Some of the pros to trying out The Lil rider go-kart 80-6653D is that it is adaptive and simple to assemble featuring a lightweight design. 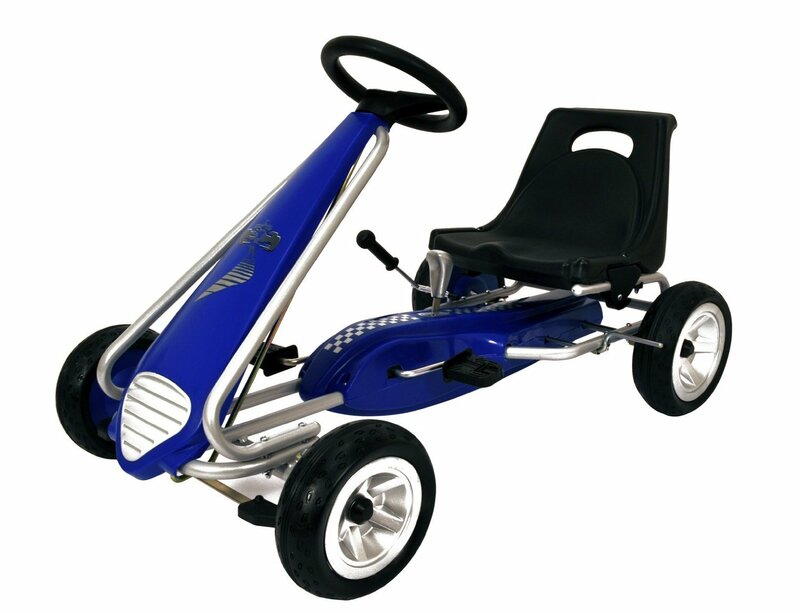 Plus, younger children will find this little go-kart to use due to its lightweight wheel design and parents will find it easy to clean due to its plastic construction. 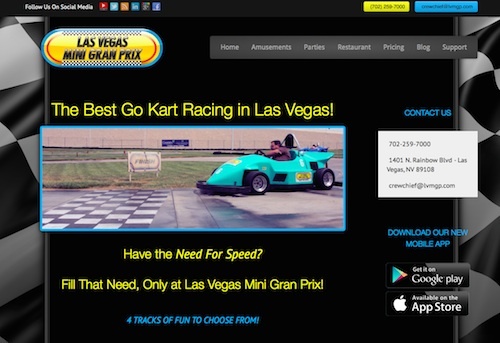 Cons: However, it should be noted that children over five or heavier than 55 pounds may have a bit of difficulty with the Lil Rider Black Stealth Pedal Powered go-kart due to weigh versus chain issues and seat length while adjustable may still not adjust well enough for those with longer legs. In addition, there are serious structural issues that make the cons of purchasing the model important to note. 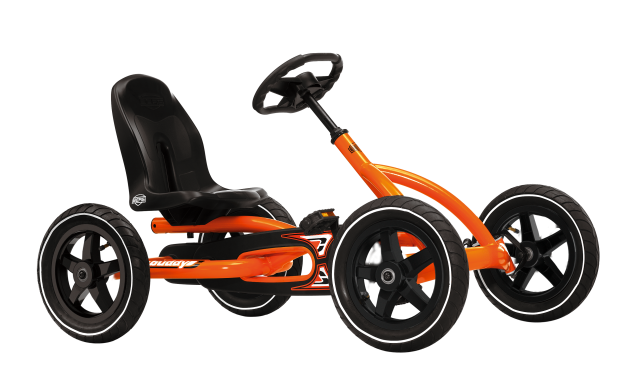 From its high-backed seat to its streamlined design, the Lil Rider Black Stealth Pedal Powered Go-Kart promises hours of fun for both toddlers and young children alike. The Lil Rider 80-6659D model seeks to ensure toddlers and young children develop a love of keeping fit while still having fun riding it. 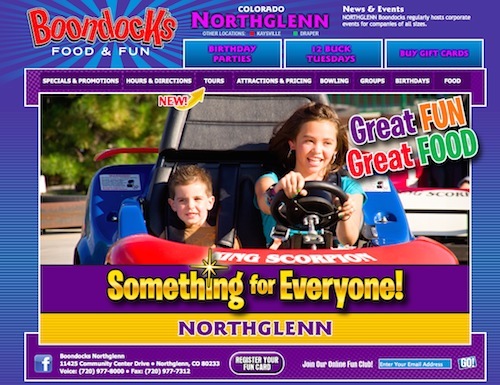 Product descriptions state that kids can get a great workout as they reach top peddling speeds over hard surfaces and grass. But, several users of the Lil Rider have been outspoken about poor workmanship throughout the model. 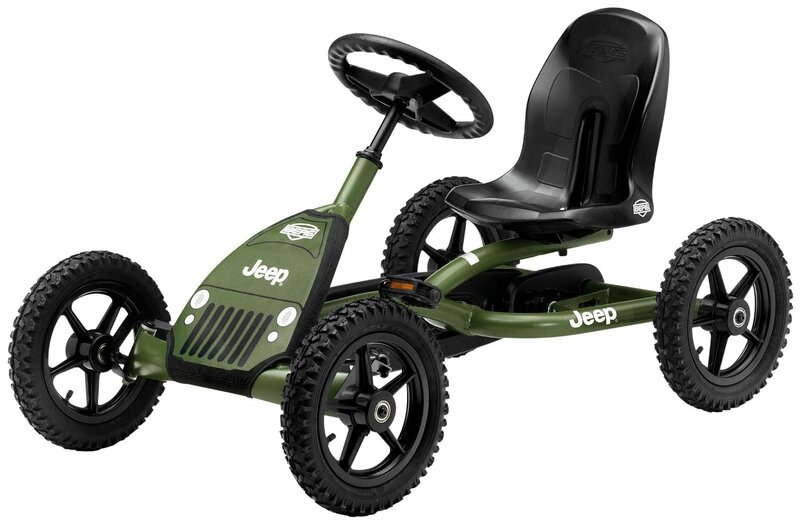 The Lil Rider Black Stealth Pedal Powered go-kart’s high-backed bucket seat is positioned low to the ground to provide young children with easy cruising comfort. However, users have found the model to be very difficult to control due to a poor quality slip chain that easily comes off the model and cannot reattached. 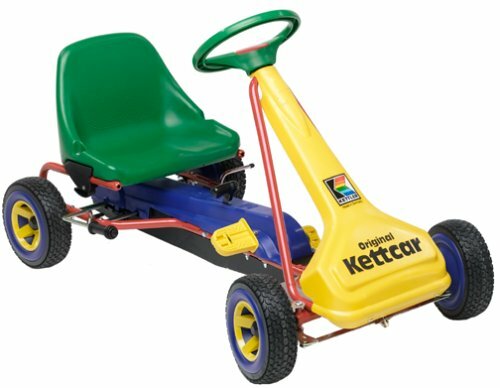 The model states that its authentic retro design mimics the look of a real go-kart while also being great value for money. 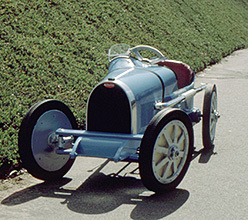 Yet, several buyers received models that came without the decals or with only two and not the complete set. Plus, the included assembly instructions have been stated to be poor quality and hard to follow. The Lil Rider 80-6659D model is stated to be made of durable plastic and solid carbon steel construction. In addition, manufacturers state that it provides solid performance in a lightweight easy to carry design. However, pieces of the wheel shaft have been reported to break off or the wheel shaft comes out entirely after only a few days use. While the model is not battery operated, the Lil Rider does give children greater control over speed than a battery model while still providing a good workout due to its’ foot peddling design. 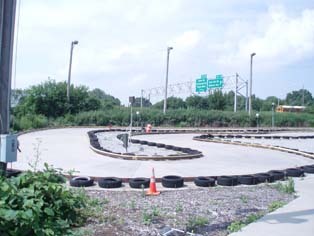 The 80-6659D is stated to work well in both indoor and outdoor settings, but due to reported poor traction on the tires by several users the kart doesn’t move well over grass. The high backed seat easily seats one child providing hours of fun. 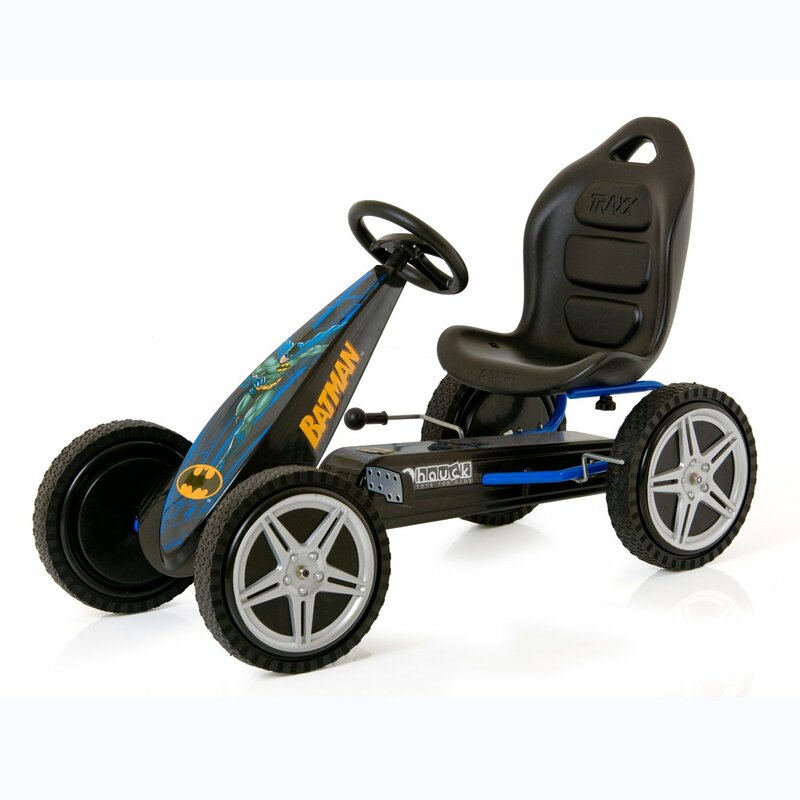 Because of its’ blend of construction materials, the go-kart 80-6659D model is a cinch to clean with any wet sponge or towel. Users have also unfortunately reported that the product looks cheap and some models look to have also been used previously. While the unit is affordable at under one hundred dollars, having such problematic performance and structural issues makes the Lil’ Rider Black Stealth Pedal Powered Go-Kart you might want to avoid.